Middle School trips are both a continuation of the overnight and international trips offered in Elementary, and a deep-dive into the concept of experiential learning. Students have multiple opportunities to travel throughout Middle School, giving them the chance to immerse themselves in other cultures and learn about themselves and each other. As students progress through Middle School, overnight trips grow in scope, length, and distance away from school to expand student's view of the world and to grow the student's sense of confidence and independence. During their first year in Middle School, the 6th grade students travel to the Coloma Outdoor Discovery School, located in the heart of Gold Country, on the Western edge of the Sierra Nevada mountain range. The focus for this trip is on getting to know and trust one another to create lasting bonds, and on helping the students understand that some challenges can only be overcome by working as a team. 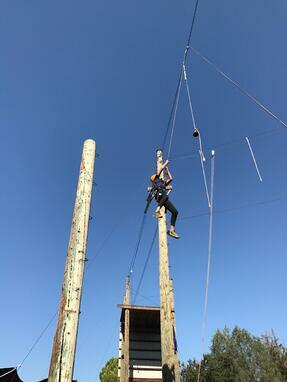 The students engage in a wide range of activities, including ice breakers, group scenarios, and an exciting ropes course! In 7th grade, students travel to one of California’s most inhabited Channel Islands, Santa Catalina Island. After flying into the Los Angeles basin and taking a boat across the San Pedro Channel to the island, the students settle into their cabins for their week-long adventures. During the week, students are grouped into smaller teams and discover the unique history and biodiversity of the island, including its roaming bison. The students get a chance to disconnect from their busy middle school lives and experience simple island life, while still taking part in fulfilling activities. In 8th grade, students travel to Washington, D.C. and Virginia, to better understand and experience the foundational years of the United States. After traveling through colonization, independence, and early democracy in Jamestown and Williamsburg, the students visit Mount Vernon to learn about one of America’s Founding Fathers, George Washington. Once in Washington, D.C., the students are introduced to the intricacies of the modern American political system. At the Middle School level, the trip to China is offered every other year to all students in the Chinese program and to students in the French program who are learning Chinese in 7th and 8th grades. By traveling to both Beijing and Chengdu, the students get a glimpse of the rich cultural, historical, and culinary diversity that exists within China. 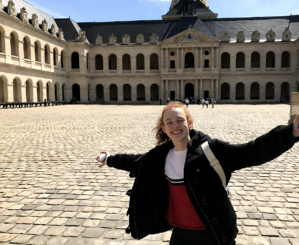 In addition to visiting major sights of both cities, the students experience life as a student in a local boarding school and stay with a host family over the weekend. 7th and 8th grade students have the option to travel to Costa Rica for a community service trip. The small rural towns of Copey and La Cima de Dota serve as the backdrop for numerous projects, which have ranged from paving a basketball court and access ramp, to repainting a community building and water monitors. Staying with families for a week once again helps the students experience a different way of life and a gain a greater sense of independence. Taking part in a service project allows students to put their Spanish language and collaboration skills into practice and see their hard work help their host community. The exchange trip with our partner school in Meudon, France occurs every year and pairs 7th and 8th grade students from ISTP and La Source, école nouvelle. During the exchange, students spend 3 weeks with their host families and experience student life in a new school environment. 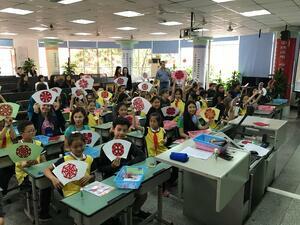 For the ISTP students who participate, they learn to be good hosts and to get to know their exchange students better. During their stay in Meudon, the students get to make new friends and classmates and adjust to new schedules and class expectations. The Middle School overnight trips provide students with unique experiences that broaden their perspective on the world. 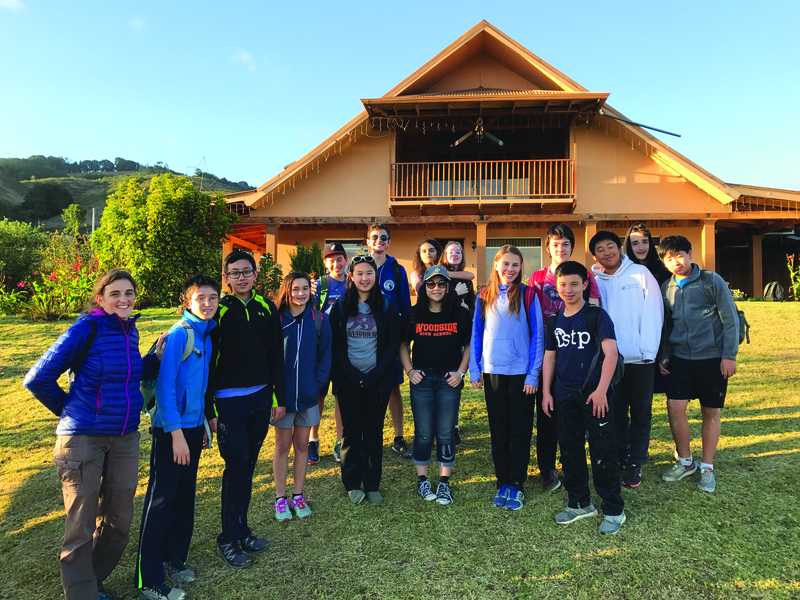 As ISTP works towards becoming an IB World School*, the overnight trips at the Middle School level will undoubtedly evolve to best adapt to new visions.